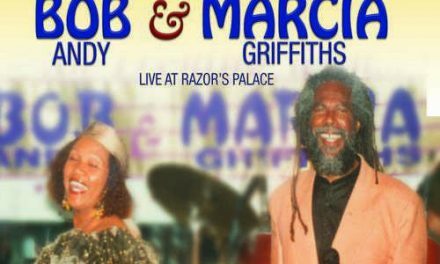 Ziggy Marley is the eldest son of Bob Marley and Rita Marley. At an early age he started a musical career. In 1979, Ziggy and his siblings Sharon, Cedella and Stephen formed the Melody Makers and made their recording debut with “Children Playing In The Streets”. The band released several albums and were successful all over the world. In 2003 Ziggy went solo with his debut reggae-pop album “Dragonfly”. The 2006 release “Love Is My Religion” carried on the reggae-style pop sound and the lyrical themes established in “Dragonfly”. The album won a Grammy Award for Best Reggae Album. 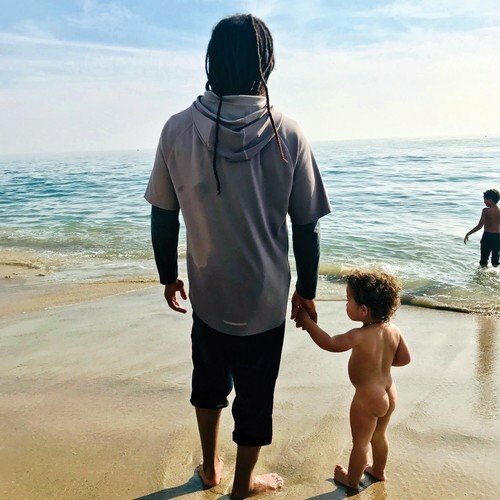 His 2009 effort, “Family Time”, was a charming children’s album, while 2011’s “Wild And Free” returned to the socially conscious reggae that launched his career. In 2014 he came up with “Fly Rasta”. 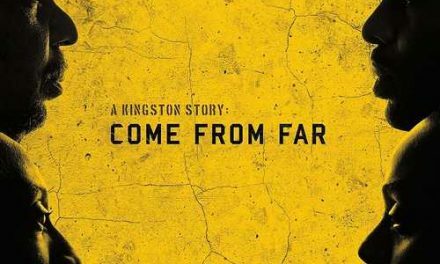 It won the Grammy Award for Best Reggae Album in February 2015, but was a slight disappointment for reggae fans who expected a more authentic reggae set. 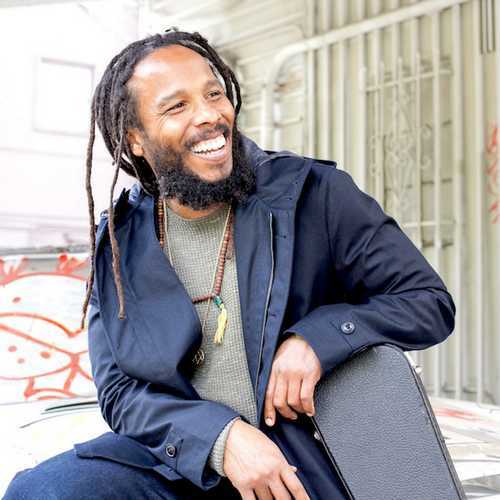 In 2016 he released the self-produced offering ‘Ziggy Marley’, a genuine reggae album, but with subtle ‘pop’ vibes to appeal to a broader audience. It won a Grammy Award for Best Reggae Album 2017. May 2018 sees the release of ‘Rebellion Rises’. Ziggy wrote, recorded and produced this powerful set. Ziggy knows how to write a catchy tune with relevant lyrics and easily blends in elements from several music styles. It’s a perfect example for a style we would describe as ‘global reggae’. Simply said, it’s a 10 track musical call out for everyone to engage, get involved and stand firm. The first track -See Dem Fake Leaders- is a strong political attack on the leaders of the world: “See dem fake leaders, In the place of power they sit, From religion to politics, Riding a wave of fear, Starting fires, they don’t care..” The aggressive, thunderous riddim fits the lyrical content perfectly. Next comes “The Storm Is Coming”, featuring a rap by his son Gideon. 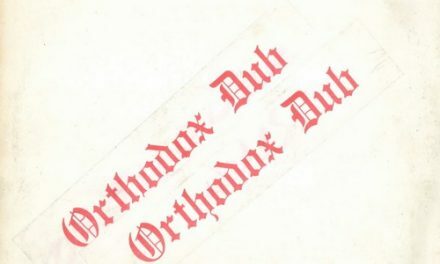 A straight forward reggae track, with statements like “people can’t live on promises and wishful thinking”. It seems that this song is based on a telephone call between Ziggy and Stephen. “World Revolution” is a tune with a dash of dancehall and hip hop, with poignant lyrics about the leaders who believe violence is the answer, instead of love and unity: “them talking bout dropping bombs, we talking bout a peaceful solution”. Samuill Kalonji delivers the rap. Back to traditional reggae. “Your pain Is Mine”, the title says it all and sure to grab your attention. Its a song about involvement, emotional connection, genuine emotions. Then comes the easy skanking “Change Your World”, a song that could have been a track on one of his father’s albums. Wonderful tune: “Groove with me, move with me, we’re gonna change the world”. 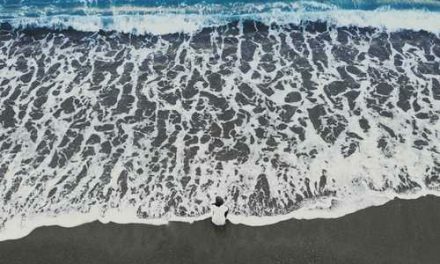 The positive song “I Will Be Glad” features a few heavy guitar riffs and is all the way strong. “High On Life” is another joyful tune across a glorious riddim and a pertinent message. “You know I’m high on life, you can’t bring me down, you can’t bring me down..”. The well known single “Circle Of Peace” is a satisfying combination with Stephen Marley. “I Am A Human”, with its obvious title, is a wonderfully arranged song, with a lyrical sharpness. For us this songs means: We must drop all labels of race, religion, nation and politics, we’re humans and have a right to live in peace and harmony. An universal message. The title track rounds off the album and calls on us to fight hate, doctrines and violence inna positive way and should bring us to really higher levels. Rebellion is rising all over the world and in the mind of the people. Conclusion One of the most outspoken political albums of 2018, that exemplifies progression, vision and passion!